Party Poker which at one time was the most dominant brand in poker has essentially nailed the last nail in their own coffin. I am going to layout the events that pushed Party Poker to start a slow and painful bleed that very well could see the brand as an after thought when players think about playing online poker. 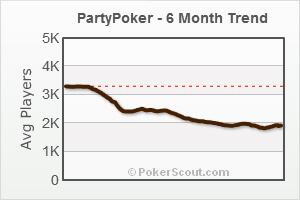 As of today, according to PokerScout, Party Poker currently has a peak 24 hour cash game player base of 3,523. That cash player base currently makes them the 5th largest poker network in the world. Earlier this year they were the 2nd largest network in the world. The following sites are all part of the Party Poker network: Bwin Poker, DanskeSpil.dk, EmpirePoker, Gamebooks Poker, WPT Poker, ZyngaPlus Poker & of course Party Poker. When the UIGEA passed in 2006, Party Poker pulled out of the USA and over night shed a significant amount of market share. Up until the passing of the UIGEA in the United States of America, Party Poker was the most well known and most dominant brand. Everyone in the industry was looking up at Party Poker and trying to figure out a way to topple them. They continued to innovate their poker software and were in many ways always a step ahead of the competition. Party Poker was owned by Party Gaming at this point in time and they really valued high volume players and affiliates. Besides pulling out of the US after the UIGEA was passed, the executives at bwin & Party Gaming decided to merge and form the largest publicly traded online gaming company in the world. After the merger, the parent company became bwin.party and they pivoted and started to concentrate on cutting costs to increase their profit margin. 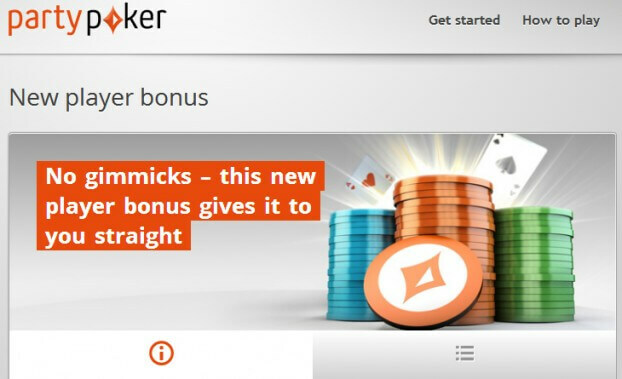 As a result they decided to decrease the VIP levels which in turn started to decrease cashback players were receiving from playing on Party poker. On top of decreasing player rewards they also went down a path of no longer valuing affiliates. Revenue share plans where changed and they no longer offered bonanzas. 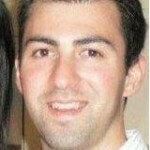 As a result of those changes Party Poker no longer was a top brand for affiliates. You started to seeing a lot of affiliates totally drop the brand as well. After the merger is when you could really start to see a rapid decline in cash players on Party Poker. Take a look at the image to the right which shows the last 6 months of cash players on the network. In a final last ditch effort, bwin.party come up with a brand new logo, website & poker software which is geared toward social gaming. On top of these changes they also stopped the 100% up to $500 deposit bonus and replaced it with a horrible 100% up to $50 deposit bonus. The decrease in deposit bonus in my view is the last nail. The only hope bwin.party has for the future is regulated online gambling in the USA. The last time players from the USA played on Party Poker the brand had a different logo, color scheme & software package. Bwin.party through all of the brand recognition USA players had, totally out the window. If I was a betting man, I would bet even with Party Poker being available to USA players again you will not see them gain a significant amount of market share. Its sad to say but the brand is dead.